After the death of Valens, St Zeno left the world and settled in a cave near the city of Antioch. For forty years he lived in this cave, and he lived an austere life in complete solitude, cleansing his soul, and meditating on God. St Zeno went to church each Sunday and received the Holy Mysteries of Christ. In his cell he had neither bed, nor fireplace, nor lamp. The ascetic wore old rags, and ate only bread and water, for which he had to make a tedious journey into the city to the well. St Zeno was particularly fond of holy books, which he borrowed from those who came to him for spiritual counsel. Through his deep humility the blessed ascetic, filled with the gifts of grace, considered himself poor in spirit. 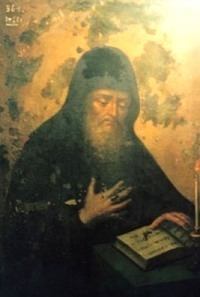 St Zeno died at the beginning of the fifth century.